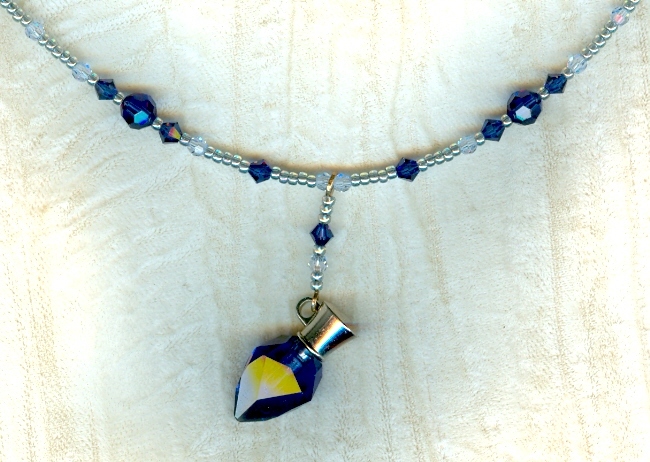 Dark sapphire is one of Swarovski?s most alluring colours, and shows its stuff superbly in this very vintage scent bottle pendant. 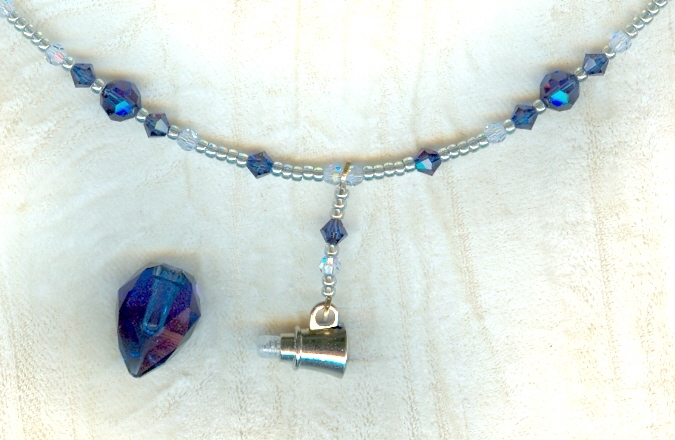 The tiny crystal bottle measures a scant 24mm long counting its silver plate cap. It?s about 12mm at its widest and 8mm at its thickest points. The strand is made of contemporary Swarovski dark sapphire and ice blue beads spaced with iridescent seed beads. It measures 18-1/2 inches long, and closes with a sterling silver lobster claw. It?s an absolutely unique pendant necklace ? From SPARKLE PLENTY, of course. 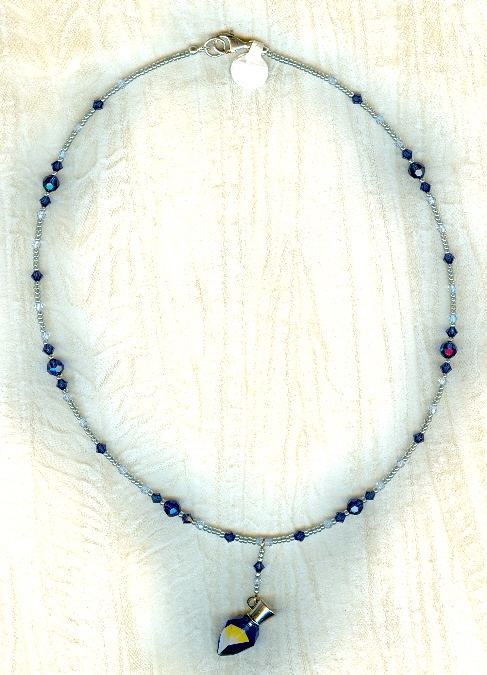 A mysterious study of dark and light, the focal features a treasure of vintage Swarovski crystal stones in sapphire and Montana sapphire. These ultra-feminine chandelier earrings feature two sizes of curly sterling silver filigrees dangling from sterling silver earring wires.